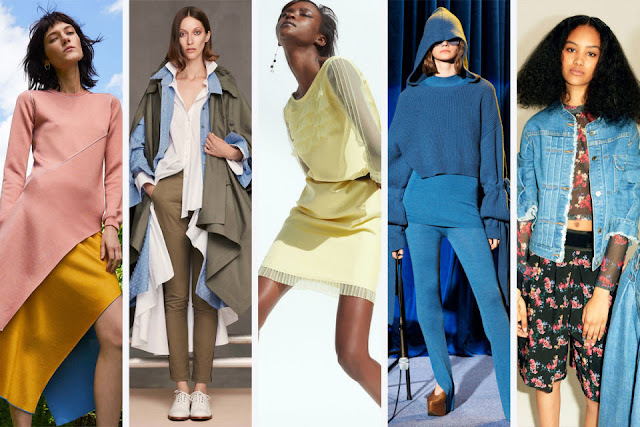 Resort has the longest shelf life of any season, which means that designers are making sure that it's all things to all people. Fur coats can be found in the same collections as bikinis, because why not? Accessibility to every type of shopping habit is paramount. Seasonality is dying, every month somewhere on the globe is winter when on the other side is summer. But what's new for Resort 2018? Is the skinny gene craze finally dying out? 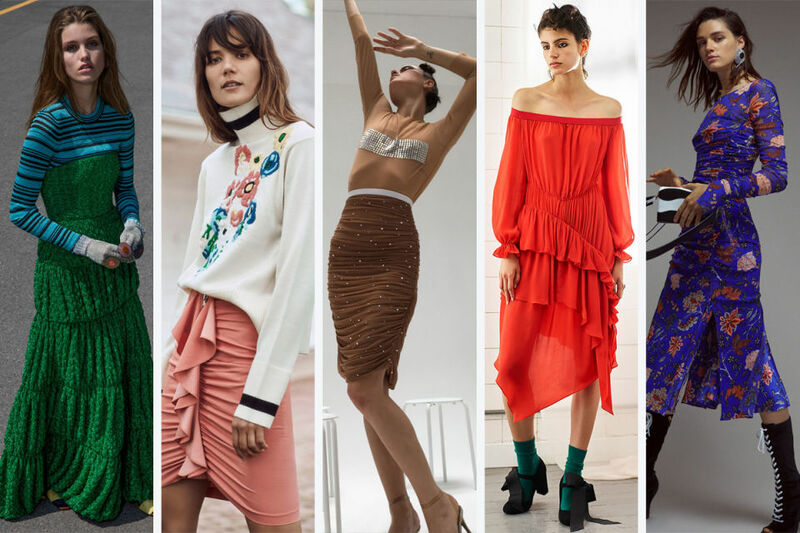 If the resort collections are anything to go by, then yes, it most certainly is. 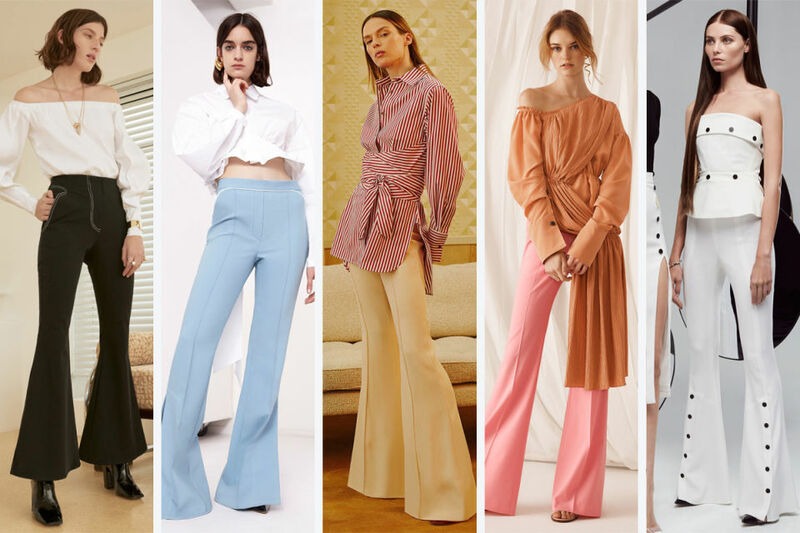 The flares of the last resort season have ballooned to full-blown bell bottoms. (L-R): Beaufille, Ellery, Khaite, Adeam and Cushnie et Ochs. 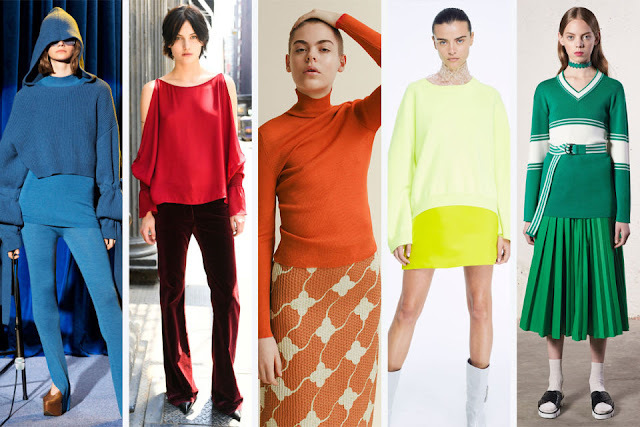 Colorblocking is the laziest and therefore, possibly most efficient way to add color into your wardrobe. This season, there are plenty of brights from which to choose. (L-R): Versace, Tabula Rasa, Thom Browne, Rosetta Getty and Delpozo. 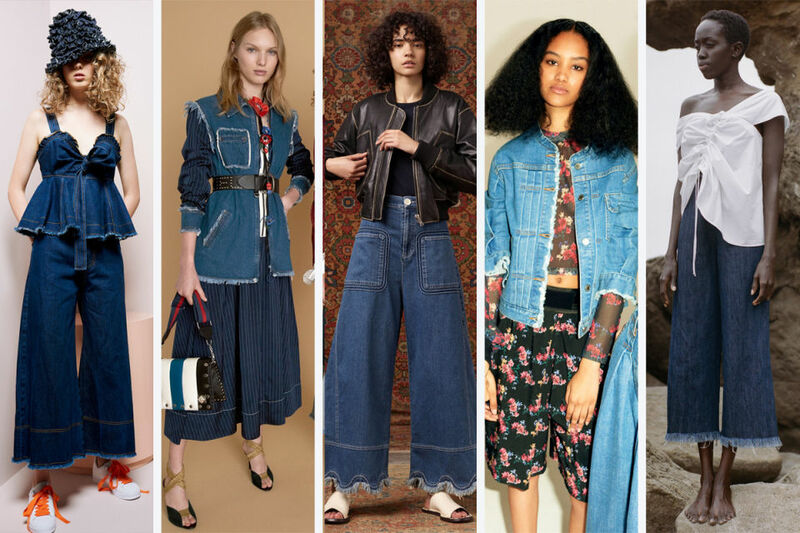 More than ever, denim is becoming a mainstay in designer collections. The casual fabric is often bedazzled, embroidered and distressed, but the most popular iteration for resort was a simple frayed edge. (L-R): Karen Walker, Sonia Rykiel, See by Chloe, Public School and Shaina Mote. 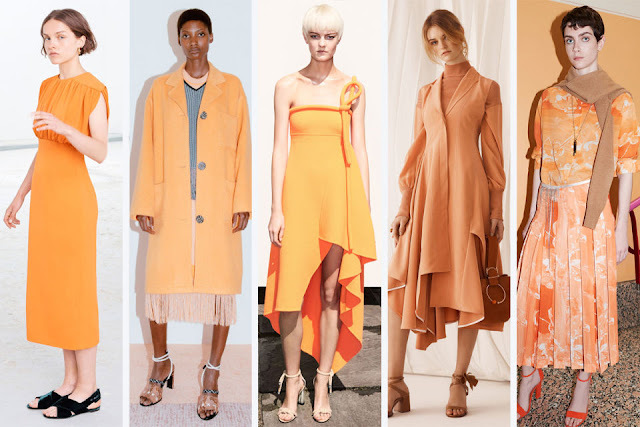 Another play on color, monochromatic dressing keeps things simple if one color is all you want to commit to. 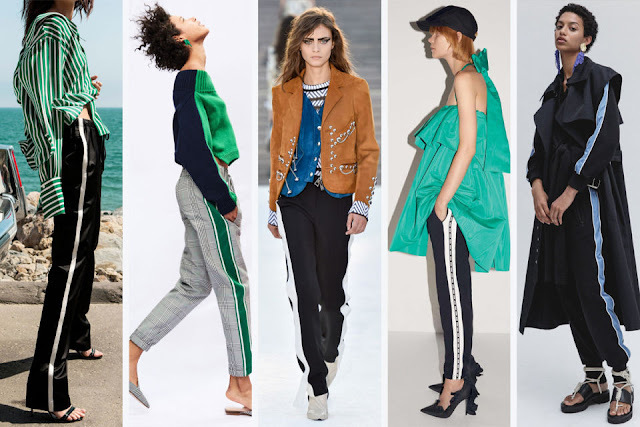 (L-R): Stella McCartney, Nili Lotan, Samuji, Adam Lippes and Red Valentino. Your favorite citrus fruits are the biggest colors of the season by far, with an honorable mention to pink. Clementine, lemon, tangerine — these are not for the faint of heart. (L-R): Emilia Wickstead, Edun, Oscar de la Renta, Adeam and Victoria Beckham. This classic gathering technique is adding a bit of interest to every piece, whether used sparingly or over the full garment. 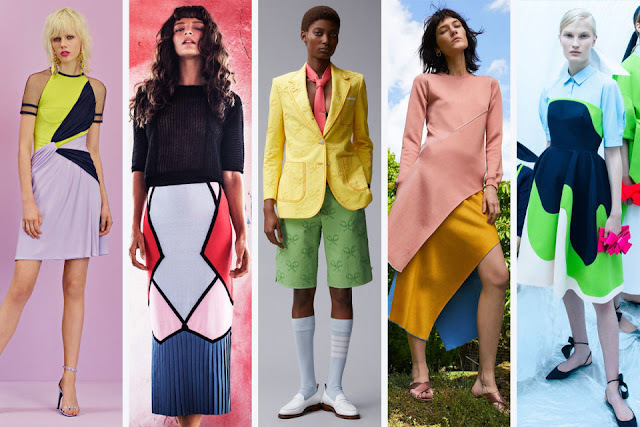 (L-R): Missoni, Veronica Beard, Norma Kamali, Preen Line and Diane von Fursteberg. Designers are so confident that you will love the statement socks available for resort that they're pretty sure you'll even want to wear them with sandals. And why cover them up? 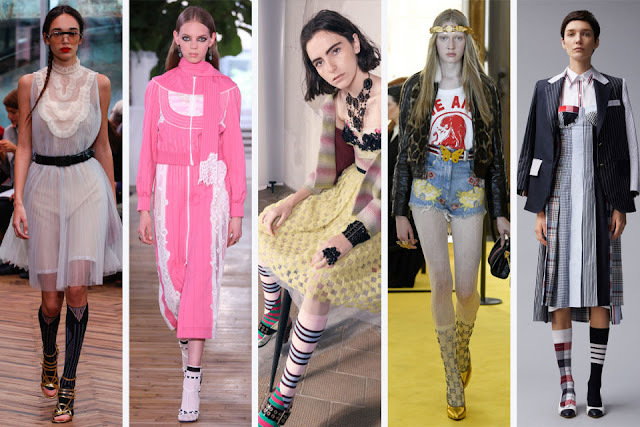 Definitely my favourite trend as I'm a big socks lover! (L-R): Prada, Valentino, Antonio Marras, Gucci and Thom Browne. Eye-catching racing stripes are running up the legs of just about any trouser or pant. (L-R): Robert Rodriguez, Monse, Louis Vuitton, MSGM and 3.1 Phillip Lim. 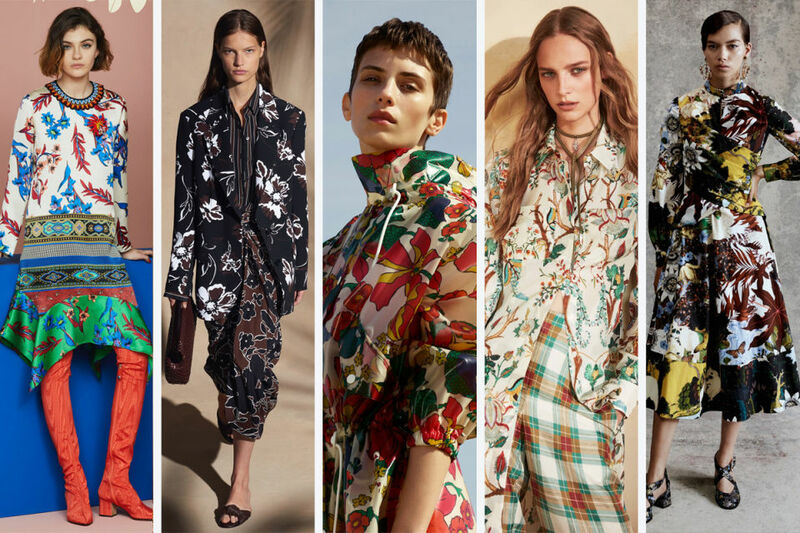 The tropical print has become less a mainstay of the resort collections with the ever-evolving definition of "resort," but you will not be able to miss it in 2018. 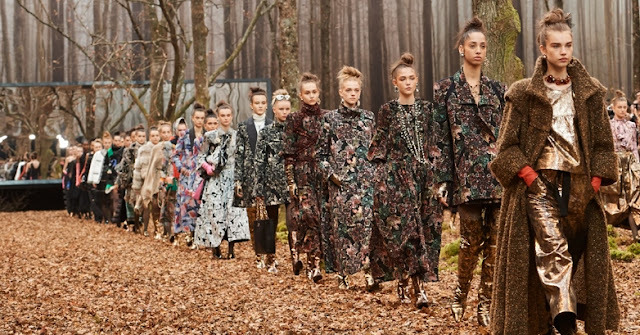 (L-R): Etro, Michael Kors Collection, Pringle of Scotland, Alberta Ferretti and Erdem. 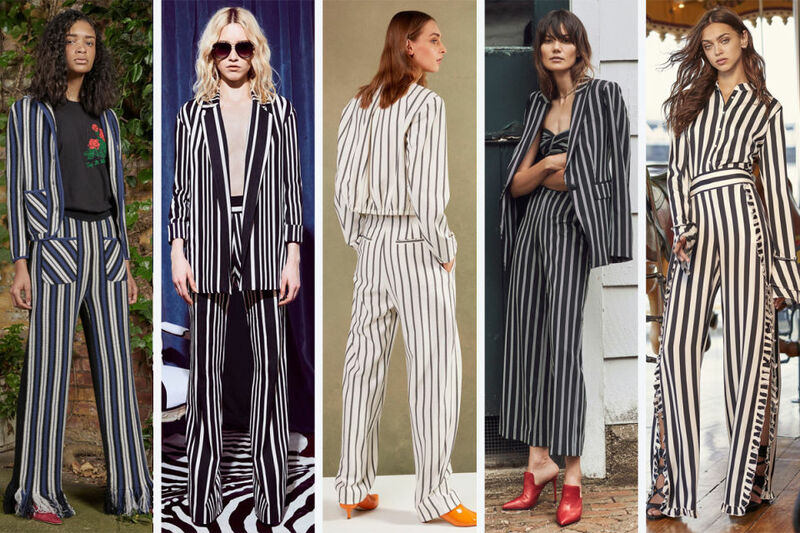 The stripe is having a moment, none more than the vertical stripe — see: racing stripes, above — and your next suit may be the latest outfit to follow this trend. (L-R): Rosie Assoulin, Alice + Olivia, Tibi, Veronica Beard and Nicole Miller.